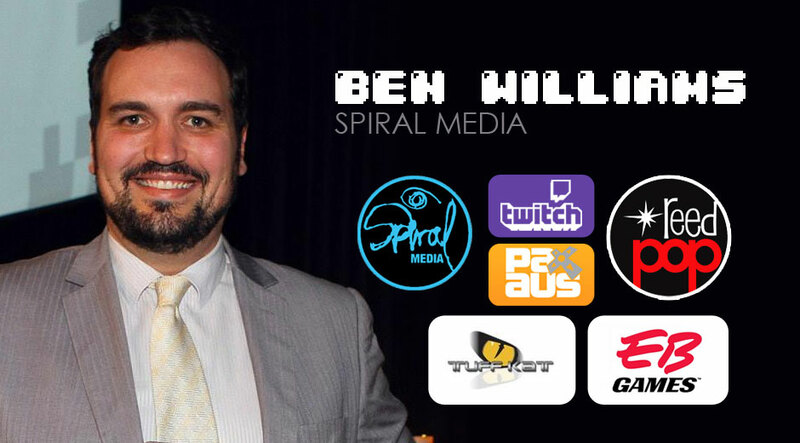 Ben Williams is the Sales Manager at Spiral Media, mostly handling the Twitch account in Australia. He was previously the Account Manager for ReedPOP Australia, specifically working on PAX Aus, but also across the Oz Comic-Con shows as well. He was an Account Manager for DMSBT (Google Maps), Operations Manager at Tuff Kat Entertainment, and worked for EB Games Australia for over 11 years, starting as Store Sales and eventually Senior Preowned Manager.